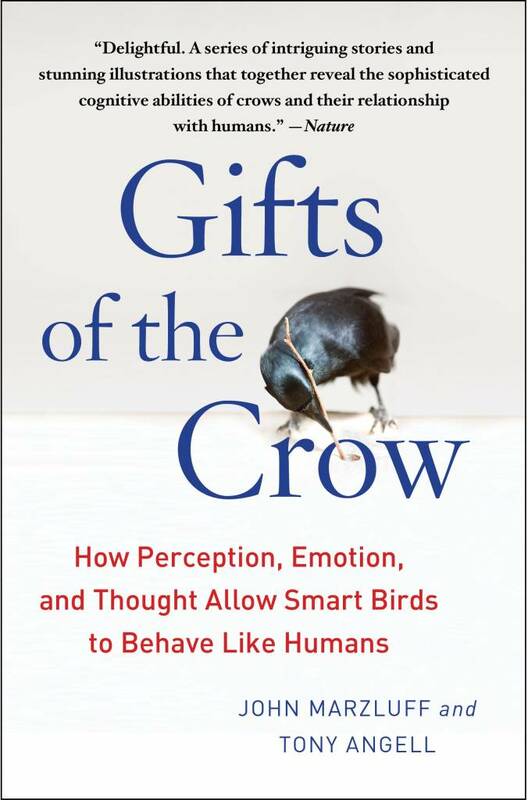 Playful, social, and passionate, crows have brains that are huge for their body size, which allows them to think, plan, and reconsider their actions. They also exhibit an avian kind of eloquence, mate for life, and associate with relatives and neighbors for years. And to people who care for them and feed them, they often give oddly touching gifts in return. The ongoing connection between humans and crows—a cultural coevolution—has shaped both species for millions of years. Scientist John Marzluff teams up with artist-naturalist Tony Angell to tell amazing stories of these brilliant birds. With Marzluff’s extraordinary original research on the intelligence and startling abilities of corvids—crows, ravens, and jays—Angell’s gorgeous line drawings, and a lively joint narrative, the authors offer an in-depth look at these complex creatures and the traits and behaviors we share, including language, delinquency, frolic, passion, wrath, risk taking, and awareness. Crows gather around their dead, warn of impending doom, recognize people, commit murder of other crows, lure animals to their death, swill coffee and drink beer, design and use tools—including cars as nutcrackers—and windsurf and sled to play. With its abundance of funny, awe-inspiring, and poignant stories, Gifts of the Crow portrays creatures who are nothing short of amazing.